4 Trades Today 92 Pips Profit. Just a quick update on the trades we took today. First trade of the day was EJ short at 10754 down to 10732 for 22 pips profit. Second trade was a double entry trade. We took Cable long at 10597 and again at 10590. We closed both positions at 10620 for a combined profit of 53 pips. The reason we take double entry trades is we sometimes see a set up with 2 possible entries. Obviously we would like to get the best entry, but if we wait in this case for the lower target to get filled we may miss out on the trade if the price reverses at the 1st entry point. So we would rather set 2 entries for the same trade. We often do this and our first entry gets filled and the price reverses as expected, but on this occasion the price pushed further down to our second entry and filled our order. I would just like to add that our second entry at 90 was the daily low for Cable today. This is how accurate our entries can be sometimes. The way we trade always gives us very good entry points. The key to making money in this job is to identify reversal points with accuracy, you are then in the trade at the best possible price, and you can take more pips from the move. Our final trade of the day which was filled at around the same time as our Cable trades, was an EJ long trade at 10711 up to 10728 for 17 pips. Total trades for the week 14. Total pips. 398. 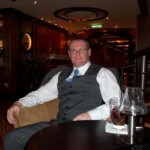 Don’t forget, if you want to learn to trade Forex with high probability please consider my Forex training course here. Here is a trading update from yesterday and today. After a pretty quiet start to the week we had some nice moves yesterday and today, which produced some nice price action and some good trades. Yesterday we took 3 trades. First trade was Cable short at 16014 down to 15975 for 39 pips. Third trade of the day was Cable long at 15965 up to 15996 for 31 pips. We could have taken a similar trade on the Euro but the set up was not as good so we decided on Cable. Today we took 3 trades. Euro short at 12992 down to 12945 for 47 pips. We also took Cable short at 16048 down to 16016 for 32 pips. We also took AUD long at 10429 up to 10439 for 10 pips. I will give you a little trade for later today, or early tomorrow if it hits. AUD long at 10388. I have set a limit order at that level to buy AUD. As i am more than likely going to be asleep when this hits, and i will not be able to manage it, i am setting a 20 pips take profit on the trade. This should be a nice start to the day. Greek Deal Done. Now We Can Get Back To Making Some Money. Monday was a bit of a write off. The markets were waiting for the Greek deal all day so we had very little in the way of trading opportunities. We did close a short on EJ that we put on on Friday at 10672. We closed that at 10640 for 32 pips. That was it really for Monday. Now the Greek deal is out of the way, the markets returned to some form of normality. Today we took EJ short again at 10695 and closed at 10650 for 45 pips. We also took Euro short at 12990 down to 12960 for 30 pips. We also closed out of a Euro short that we opened on Friday for 20 pips. Decent day today but the markets are far from back to normal, so trading is very hard work at the moment. Forex trading is a big mystery to a lot of people, even Forex traders that have been trading for years struggle to understand price action, and how to profit from it. So what do you need to know to be successful in Forex and consistently make money? The answer is very simple. You need to be able to read price action on a chart. All the information you will ever need, to enable you to be successful in Forex trading, is contained within the chart. Let me just say that again in case you missed it. All the information you will ever need, to enable you to be successful in Forex trading, is contained within the chart. I cannot stress this enough. Forget about fundamentals, and news, and market sentiment, and what they are saying on CNBC, its all irrelevant. The only thing you need to be able to do, to be successful in Forex, is to be able to read price action on a chart. The chart will tell you where to enter, the chart will tell you where to put your stop loss, and the chart will tell you where to exit, and that is all you need to know. Despite what a lot of traders say a Forex chart is not a random pattern generator. Forex trading has a very structured format. 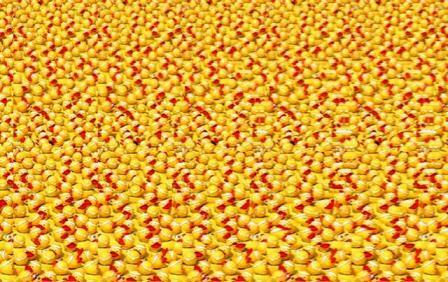 Have you ever looked at one of those magic eye pictures like the one on the left. 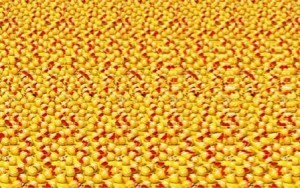 Somewhere in that picture there is a duck, some people can see it some people cant. A Forex chart is very much like that. There is a picture in there somewhere, you just have to know where to look. Now you can spend weeks, months, years, staring at a chart, or a magic eye picture and trying to see through all the confusion, or you can take the quick route and get someone to show you how to do it. Now if you think back to the moment when you first saw the empire state building, or the statue of liberty, or whatever it was in the magic eye picture, how easy was it to look at any other magic eye picture and see the image within. A Forex chart is just the same. When you know what you are looking for, you can apply the same skill to any chart, and see what is really hiding within it. When you are skilled at reading a chart you will be able to see the structure of it, and profit from the fact that you know what is going to happen next. Well that’s not 100% true, you cant know exactly what is going to happen next, but you can predict with the highest probability what is going to happen next, and trading Forex successfully is all about high probability trading. This is what i do, and this is what i teach. I look for, and enter, high probability trades, and i teach my students to look for, and enter the same high probability trades. I don’t trade for fun, or because i am bored, i trade to make money, and the way i make money is by knowing what is going to happen to the price with the highest probability possible, and then by waiting for the optimum time to enter the trade. I then manage the trade, and take my profit when the chart tells me to take it. Its a pretty simple formula, but it takes chart knowledge to make it work successfully. If you want to be a successful Forex trader, and learn my high probability Forex trading strategies, please consider my Forex training and mentoring program here.